Around the age of 3 or 4, my brother and I were playing with a brown paper bag. There was a fire in our fireplace. My mom was in the kitchen cooking breakfast. All of a sudden, my brother tosses the bag into the fireplace. The bag falls out of the fire onto the carpet. Now the carpet is on fire. I am frozen in fear. My mom immediately puts out the fire. This memory stands out because of the immediate realization, that my younger self has, that relates fire with danger. I have always had a healthy respect for fire because of this experience. It would take on a whole new meaning for me some 30 years later, as I would come to experience the fire of the Kundalini. 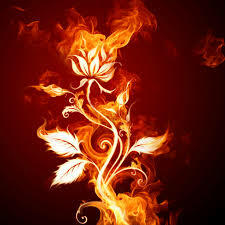 In the Bible, the fire is the Holy Spirit (Kundalini).